With 30+ years of experience and more than 60,000 happy customers, we're Colorado's remodeler of choice. Unlike many remodeling companies, we at Bordner understand that choosing your home remodeler is about more than just high-quality products and beautiful end results; it’s about finding a reliable and professional partner who cares about your home just as much as you do. By trusting Bordner for your next Colorado home improvement project, that’s exactly what you’ll get! From energy-efficient windows and sturdy doors to ultra-durable tubs and showers, we bring exceptional products, skilled installations, and top-rated customer service to homes throughout Colorado. No matter how large or small your home improvement needs may be, we’re here to exceed your expectations from start to finish. So, you’re thinking about a home remodeling project? Well, you’ve come to the right company. With over 30 years of experience in the home improvement industry, Bordner understands everything there is to know about remodeling. From roofing to bathrooms, we’ve done it all. Now, we’re changing things up. We’re focusing all of our energy and expertise on three areas of your home -- baths, windows, and doors. We believe these three products can completely transform a house into the home of your dreams. Ready to get started? Good, so are we! Originally founded in 1987 in the Kansas City area, Bordner has since expanded to serve Colorado, and all of the surrounding areas. With over 30 years of remodeling experience and more than 60,000 happy customers to our name, you can rest assured that we know how to tackle even the toughest home transformations.We believe the small things make the biggest difference. From the way we treat you as our customer, to how we treat your home. It’s all important to Bordner. Guaranteed Satisfaction: 97% of our past customers would recommend us to their family or friends, and because every project comes with our Satisfaction Guarantee, you won't have to worry about a thing. Request a Free Estimate From Your Trusted Colorado Remodeler Today! 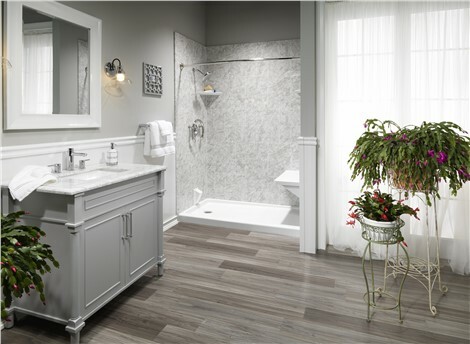 Whether you’re looking for higher-quality doors or a more accessible bathing solution, Bordner is the go-to Colorado home improvement company. Give us a call today to experience our first-class service for yourself, or request your free remodeling estimate by submitting our fast online form now. Work with us just once, and you’ll understand why 97% of our past customers would recommend us to their family and friends!